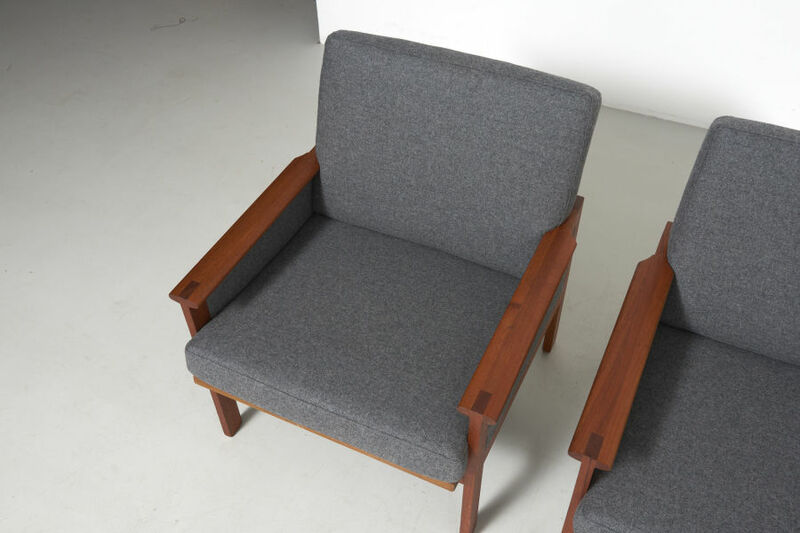 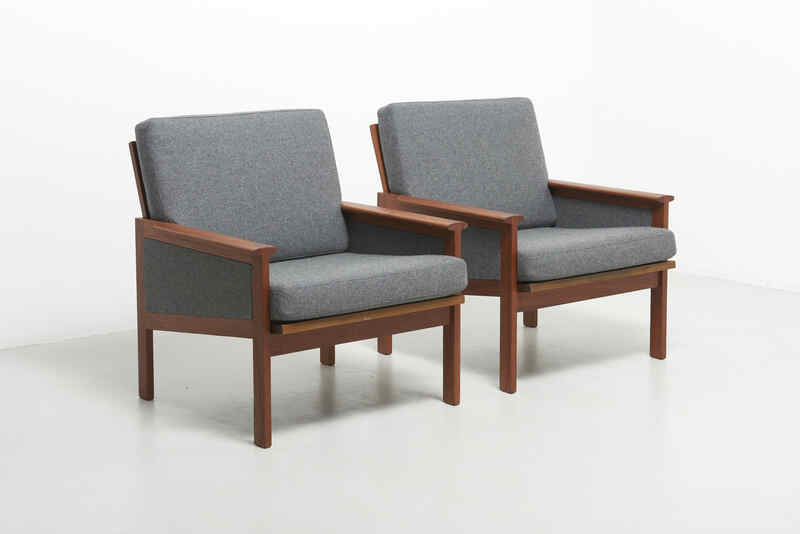 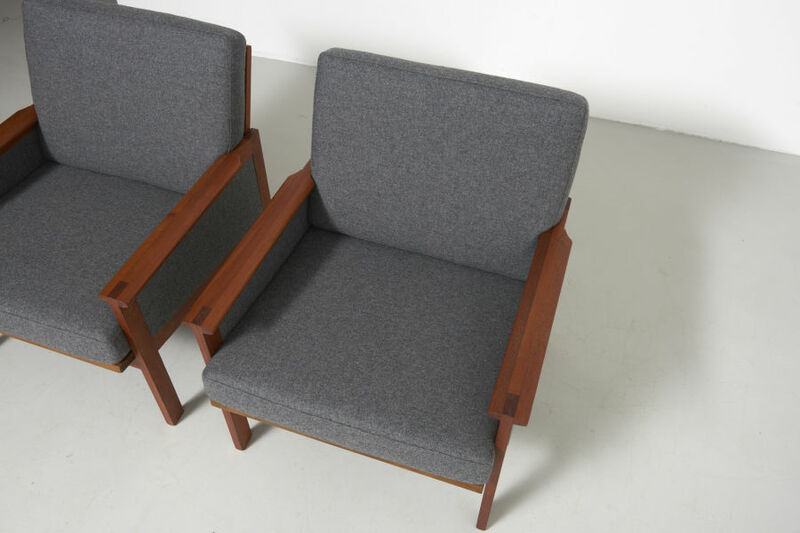 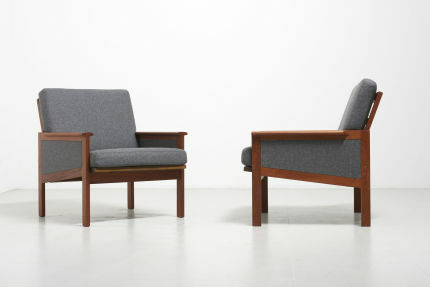 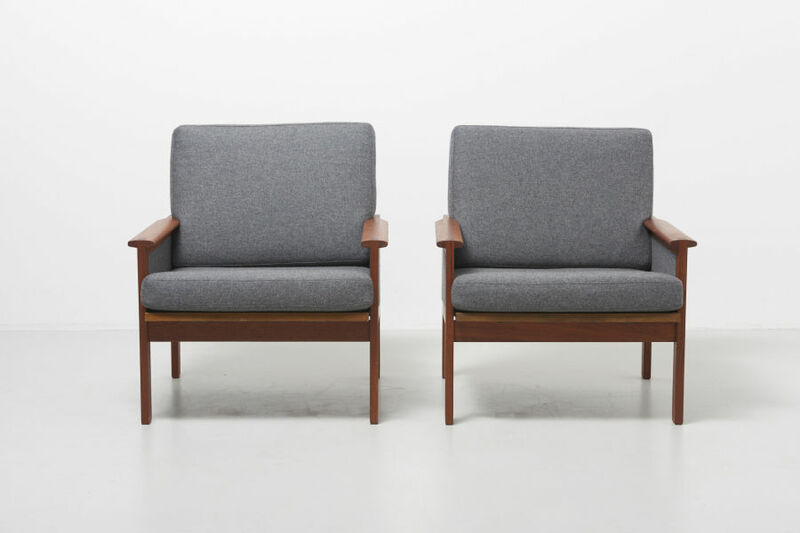 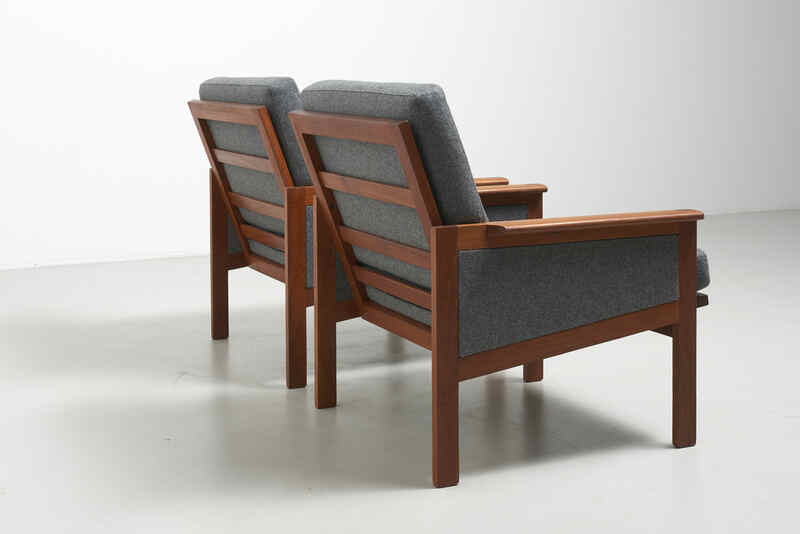 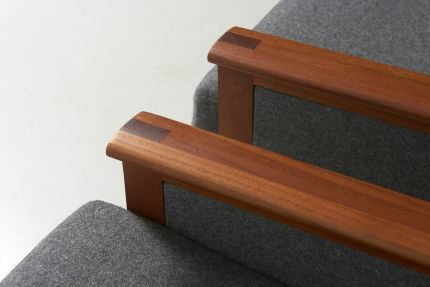 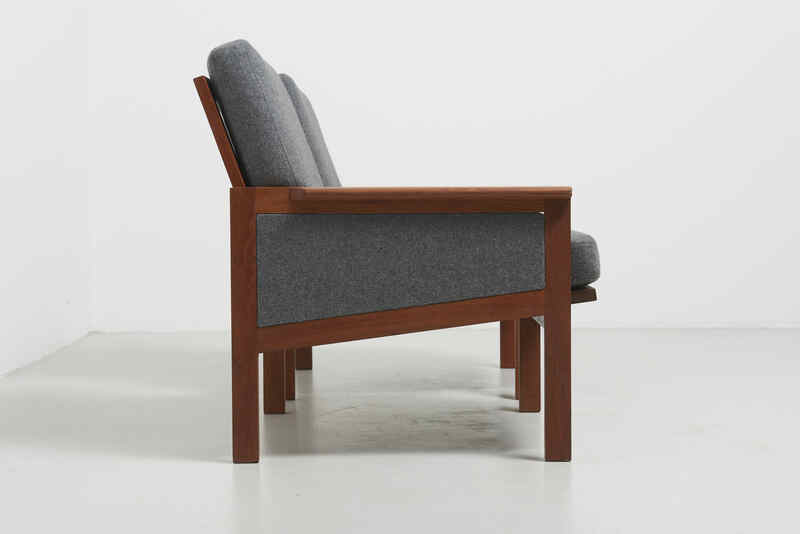 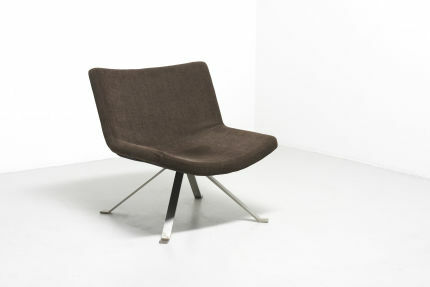 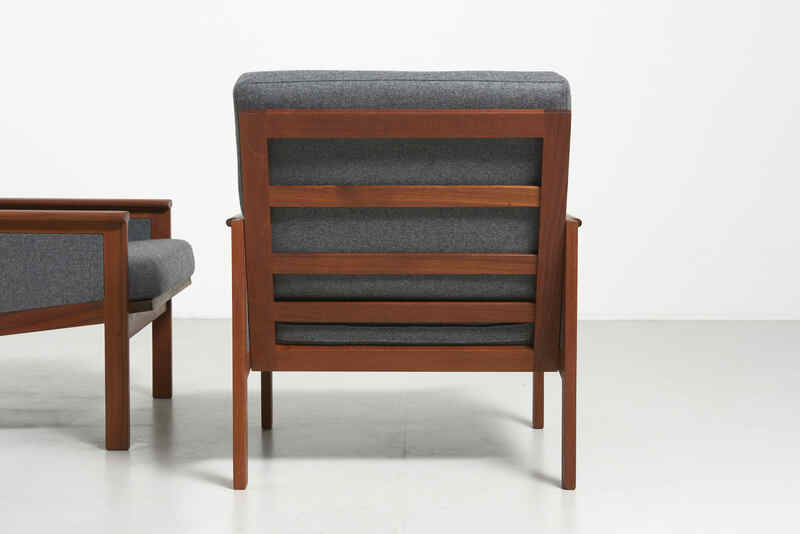 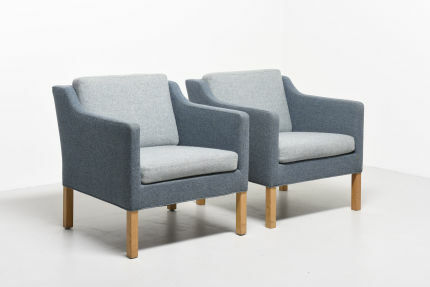 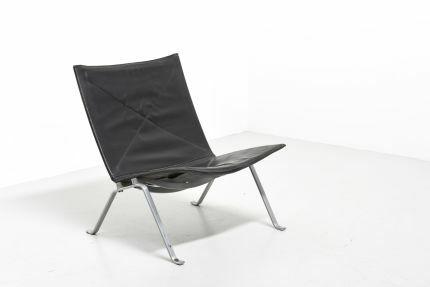 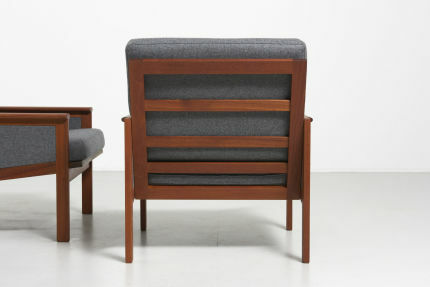 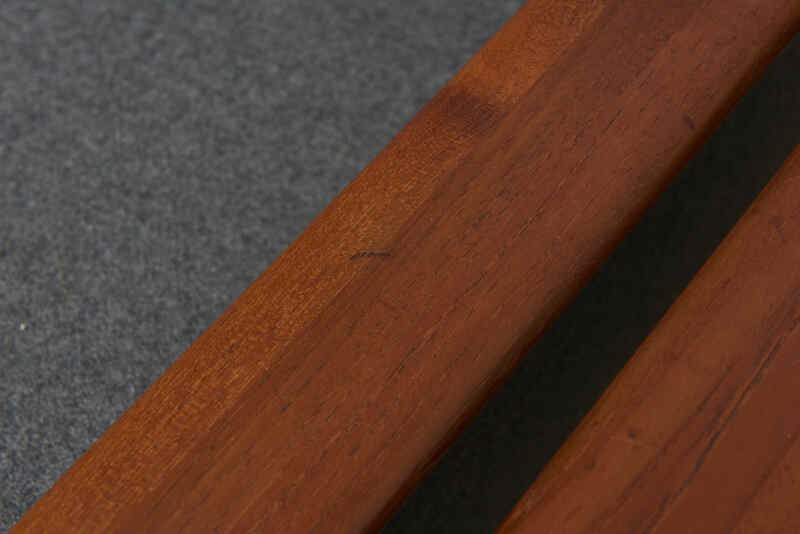 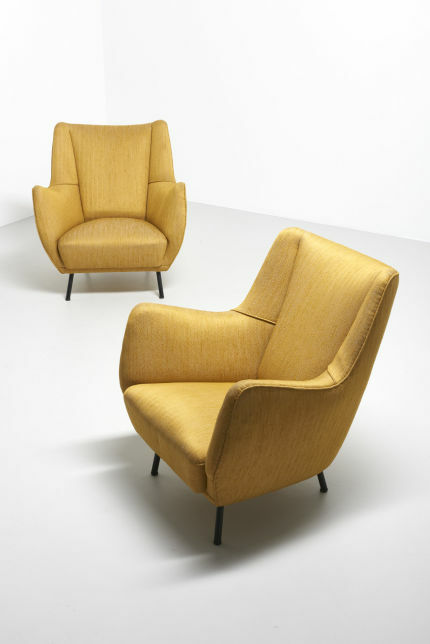 A pair of Capella chairs, Model n°4 with upholstered side panels. 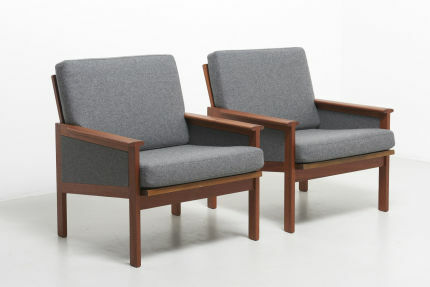 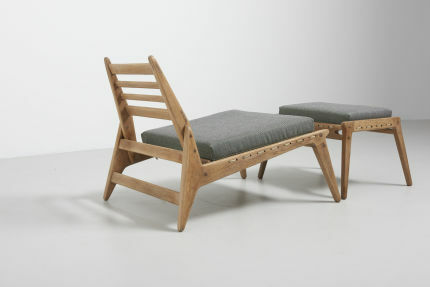 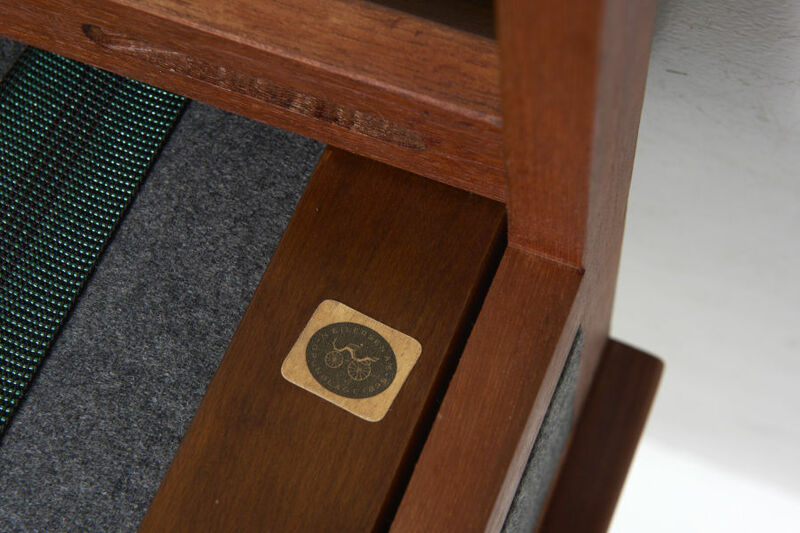 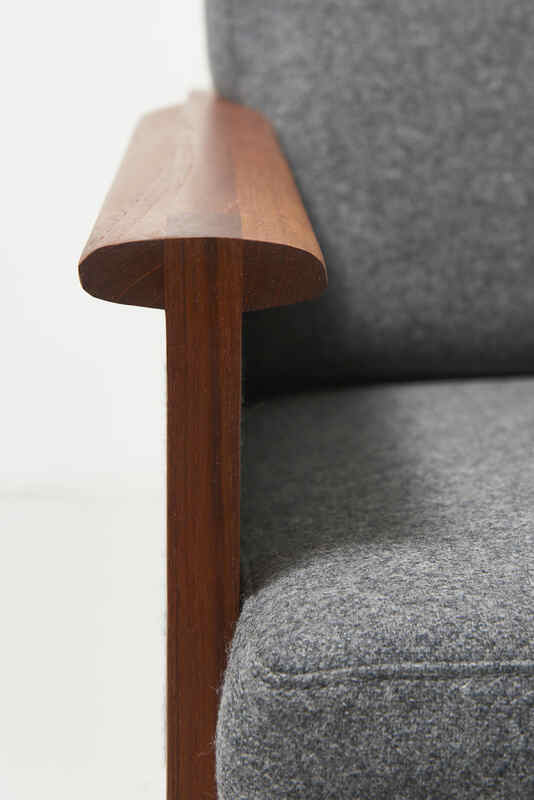 Solid teak frame with new cushions in grey felt. 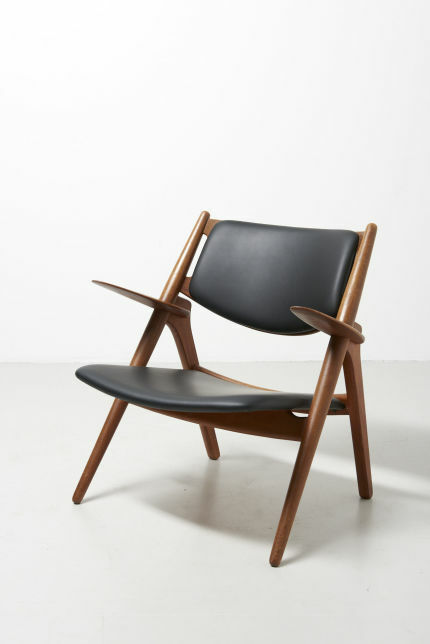 Design by Illum Wikkelsø in 1959. 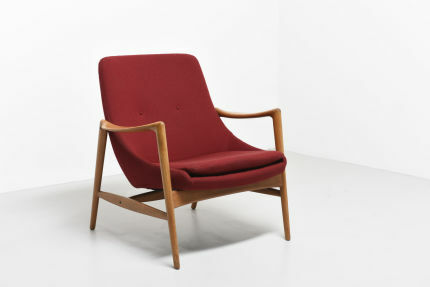 Produced by N. Eilersen.